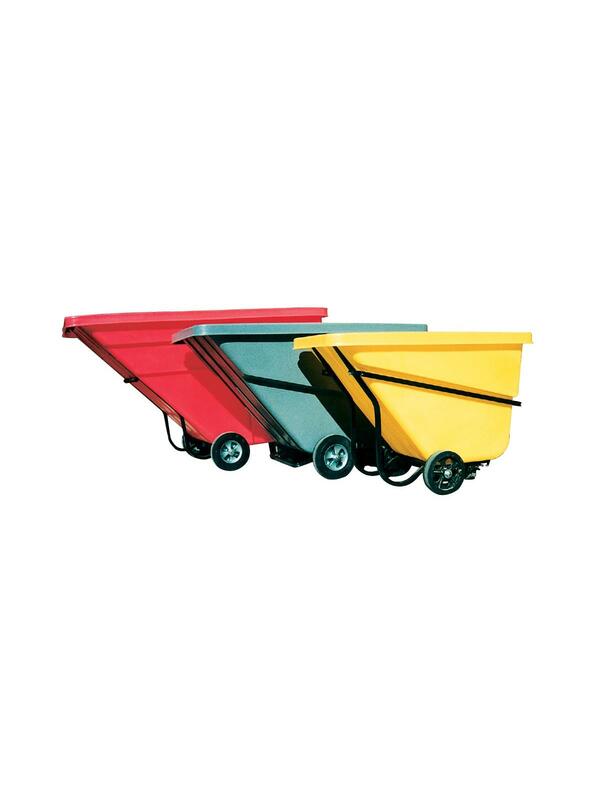 Tilt Trucks | David's Inc.
Large wheels allow for easy, one-person handling to waste containment areas - slanted front makes dumping of solid wastes quick and safe. 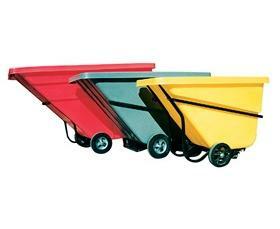 Available in Utility, Standard and Heavy Duty models with sizes ranging from 1/2 cubic yard to 2 cubic yard. Split-top lids available for most sizes. See Related Tab. Standard color is Gray; six optional colors -- Black, Red, Green, Yellow, Blue, White. 66.5 x 31 x 42"66.5 31 42"